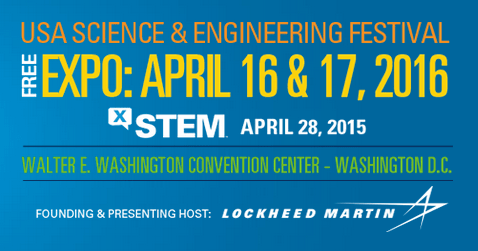 The USA Science & Engineering Festival (#SciFest) is a national grassroots effort to advance STEM education and inspire the next generation of scientists and engineers. Our exhibitors, performers, speakers, partners, sponsors and advisors are a who-is-who of science and engineering in the United States: from major academic centers and leading research institutes and government agencies to cutting-edge high tech companies, museums and community organizations. District of Columbia, United States, Washington D.C. Tagged With: District of Columbia, United States, Washington D.C.